Courtesy of Ebby Halliday, REALTORS-Frisco, Paulette Greene. Beautifully updated in desired Grayson Villas. Situated at the end of treelined cul de sac w lovely curb appeal. Open floorplan w abundance of natural light & custom finishes throughout. Family room w floor to ceiling windows & 2 story fireplace. Gourmet kitchen w white cabinetry, extraordinary granite, huge island & abundance of storage. Master w incredible spa-like bath w freestanding tub, oversized glass shower and his & her vanities. Downstairs study could be 5th bedroom. Upstairs offers 3 beds, 2 full baths & huge game room w dry bar. Sparkling saltwater pool & low maintenance backyard. Award winning Porter Elem & Smithfield Middle School! Roof replaced Oct 18 x2019;,2 new Water Heaters Sep 18! See updates list! Please, send me more information on this property: MLS# 14008778 – $407,000 – 3460 Riley Place, Hurst, TX 76054. 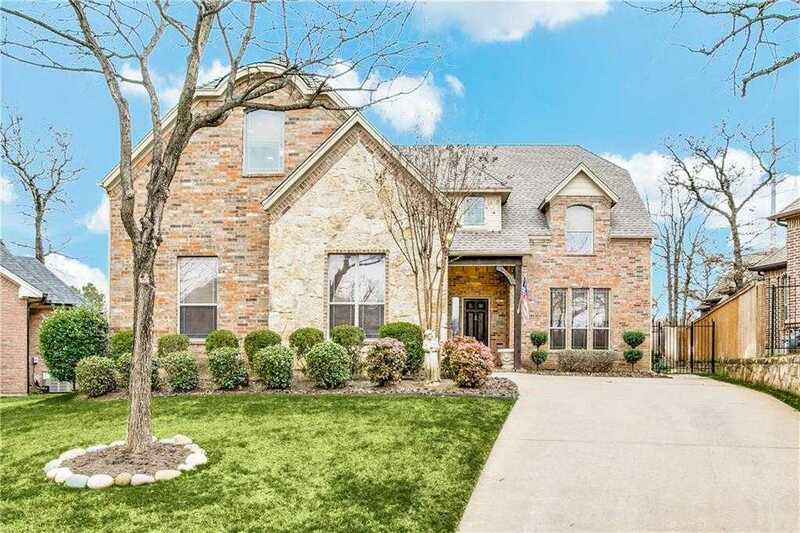 I would like to schedule a showing appointment for this property: MLS# 14008778 – $407,000 – 3460 Riley Place, Hurst, TX 76054.